Posted by Parabola Developments on Apr 15, 2019. If you’re looking to upgrade your stove, there are two main choices: electric or gas. Electric stoves run off your home’s electricity, while gas stoves require a supply of propane or natural gas. The cost is actually quite similar when you compare similar models, but there are a number of differences that can affect your choice. 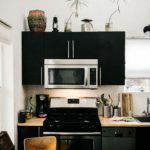 It may seem silly, but you’ll actually want to consider what type of stove you want in the early stages of your kitchen renovation. This is because you might need ...Read More Here! Posted by Parabola Developments on Mar 14, 2019. If you’re lucky enough to have a quality contractor in the family, this article is not for you! Finding a qualified and trustworthy contractor is a big source of stress for many homeowners, and rightly so! 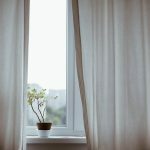 It can be nerve wracking to hand off your home (and your money) to someone you just met, especially when contractor horror stories seem to pop up every now and again in the news.Following these simple steps when choosing a contractor will help you rest easy at night knowing you made a we...Read More Here! Posted by Parabola Developments on Feb 14, 2019. If you are thinking about selling your house in the next 2-4 years, you may be considering some upgrades to help you get the most out of the sale. It’s important to know the areas where a reno can help you increase the value of your home, and which ones can actually detract from the asking price. By doing the renovations ahead of time, you can add value to your home and allow your family to enjoy the benefits before you sell. Read on for four home renovations that are sure to raise your proper...Read More Here! Posted by Parabola Developments on Jan 14, 2019. Feature walls, also known as accent walls, are a quick and easy way to add visual interest to a space. 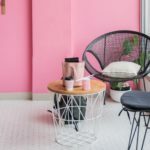 However, with an endless amount of options it can be difficult to know where to even start when it comes to creating an accent wall in your home. Read on to learn a few do’s and don’ts to make sure your next accent wall goes off without a hitch. Don’t: Be afraid of colour Painting one wall a slightly darker shade of beige than the rest of the room doesn’t count as an accent wall. Don�...Read More Here! Posted by Parabola Developments on Dec 14, 2018. In a small space, every inch counts. Small rooms can often feel cramped and confining. So how do you make the most of out of a small room? Read on to learn a few design tips and tricks that fool the eye and make interiors seem much more spacious than they really are. 1. Utilize Space Through Built-In Storage An uncluttered home seems much bigger than one with items piled up all over the place. 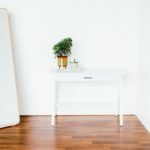 Proper storage will not only help to keep your home uncluttered, but it can also improve the function...Read More Here!